March brings spring to New Orleans, meaning the azaleas and bridal wreath are in bloom and the city looks beautiful. The mild weather is perfect especially for all the outdoor festivities and celebrations that sweep the city in March. Mardi Gras and St. Patrick's Day are both major events, where thousands of locals and visitors in colorful costumes flood the streets of the French Quarter. But keep in mind that because of these events, you'll have to book far in advance, pay higher airfare and hotel rates, and deal with big crowds of tourists. March is a gorgeous month to visit New Orleans. The weather is comfortable, typically in the 60s, with the average high being 71 F and the average low being 56 F. Although it typically rains about 4.75 inches in the month of March, that's about the same amount of precipitation you'll find throughout the rest of the year. Spring weather in New Orleans is very mild, even in the early season of March. Pack long pants like jeans, walking shoes, and a light sweatshirt or cardigan. If you see rain in the forecast, bring an umbrella and a windbreaker or waterproof jacket. If you're going to be in town for the festivals, you may want to pack some colorful outfits to dress up for the parades. There are many things to do in New Orleans throughout the springtime, but March is particularly packed with events, festivals, and activities. Mardi Gras is the biggest celebration in NOLA. The main parade, parties, and festivities will occur on March 5, 2019. Expect lots of colorful costumes, live music, and free-flowing alcohol (in the bars and on the streets). Throughout the month of March, you can head to Earth Fest at the Audubon Zoo for programs, talks, and exhibits about the environment. There are also hands-on, kid-friendly activities and games too. Soul Fest at the Audubon Zoo is on March 9-10, 2019 and features live jazz, blues, and gospel music at the Capital One Stage. New Orleans Home & Garden Show will be at the Mercedes-Benz Superdome on March 15-17, 2019. St. Patrick's Day celebration is on March 16, 2019. St. Joseph's Day is an annual holiday on March 19, and the Italian-American St. Joseph's Day Parade and party in the French Quarter will take place on March 23, 2019. NOLA Fashion Week brings the latest styles and designers to New Orleans over March 24-30, 2019. Tennessee Williams Literary Festival in the French Quarter is one of the biggest lit festivals in the U.S. It will occur on March 27-31, 2019. The Congo Square Music Festival will bring this energetic music and rhythms to NOLA on March 30-31, 2019. Spring Fiesta is a cultural tradition in New Orleans on March 30-31 and April 6-7, 2019. The festival includes a parade of horse-drawn carriages through the French Quarter and the presentation of the Spring Fiesta Queen and her court at Jackson Square. 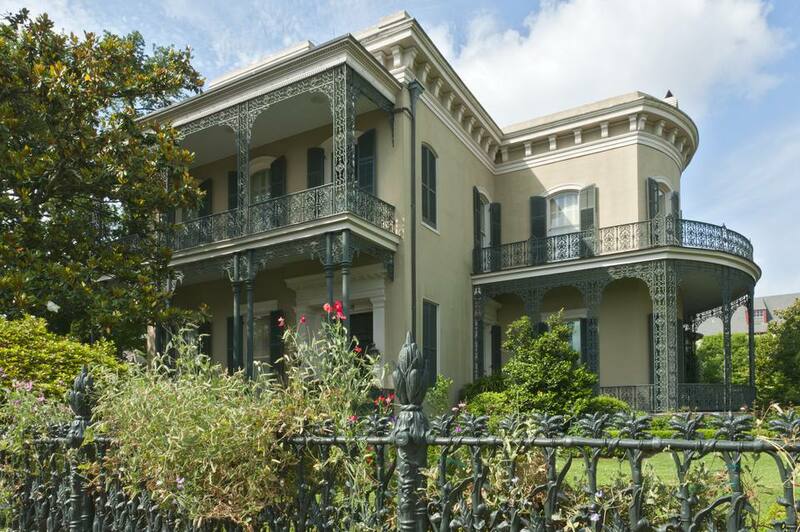 There are also tours of historic homes and gardens. Hornets Games are held in Spectrum Center throughout the month.